We’re skipping Hangover Thursday today because I wanted to give you some heads up on what is happening on Turner Classic Movies tomorrow night. Starting at 8pm Friday night TCM is showing A Fistful of Dollars, For a Few Dollars More, and The Good, The Bad, and The Ugly. Sergio Leone’s Man with No Name trilogy reenergized the Western genre in American cinemas and made Clint Eastwood a superstar. Although two Westerns were filmed in Italy before them, these are the movies most people think of when you mention Spaghetti Westerns. Ennio Morricone’s score is every bit as famous as the movies that featured them. Leone’s films are filled with tight close ups, barren landscapes, and violence. So much violence that a lot of critics were put off by the movies. Fistful of Dollars is also one of those movies that reworks a classic Kurosawa tale by turning all the samurais into cowboys. 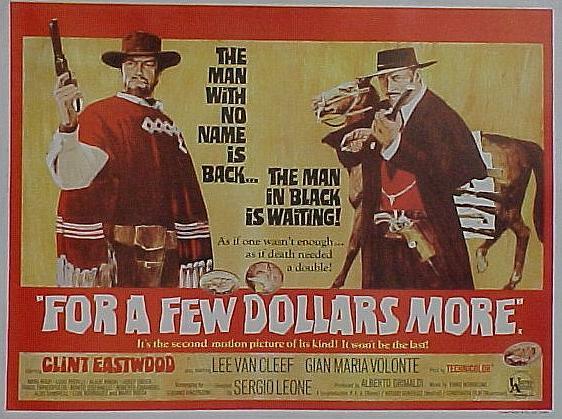 Yojimbo, the film Fistful of Dollars is based on, is actually influenced by Dashiell Hammett’s novel Red Harvest. 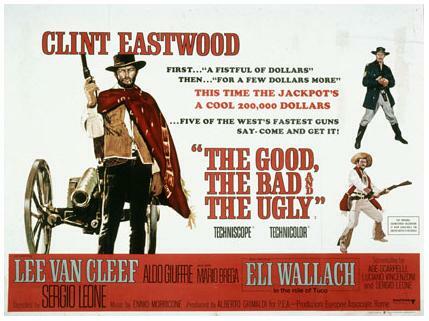 Eastwood’s iconic cigars were actually something he brought with him when he started filming the first movie. He didn’t want to smoke them in the others, but Leone insisted they were too important to the character. For a character that is famous for not having a name, the Man with No Name seems to pick up nicknames easily. 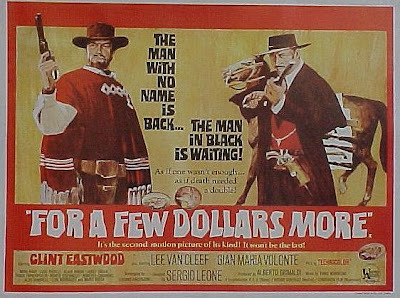 In Fistful of Dollars he’s Joe, in For a Few Dollars More he’s Manco, and in the final film he's Blondie. Friday night grab yourself a big bowl of popcorn or spaghetti and settle in for a night of squinting and shooting. 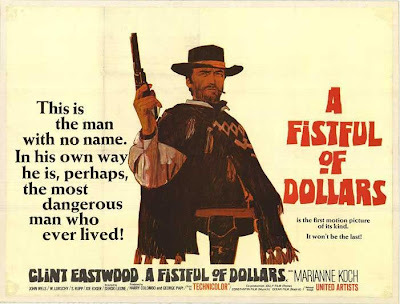 A Fistful of Dollars is actually one of my favorite Clint movies! Sadly I couldn't appreciate Westerns when I was growing up with my Dad watching them all the time. But I love them now!